목적론적 논증(teleological, physico-theological argument, argument from design, intelligent design argument)이란 신의 존재, 즉 좀더 일반적으로 자연세계속에서 지적설계로 인식되는 증거로 지적인 창조주를 논증하는 방식이다. 이 논증의 초기 기록들은 고대 그리스의 소크라테스의 작품 속에서 발견된다 . 플라톤과 아리스토텔레스 그리고 스토아 학파에서도 나타난다. 티마이오스 (플라톤)에서 보여지는데 시들리(Sedley)는 창조주의자들의 선언이라고 부를수 있는 내용을 다루며 지적인 창조 행위라는 형태로 플라톤을 이어서 아라스토텔레스, 에피쿠리우스, 스토아 학파 그릭 갈린(Galen)도 말한다고 한다..
토마스 아퀴나스의 5가지 신 존재논증은 목적론에 기초한 방식이다. 그는 후천적인 논증을 말하는데. 모든 만물은 그 목적을 향하여 가기에 지적인 존재는 필연적으로 존재한다고 한다. 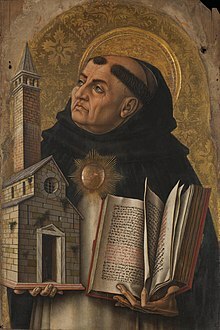 (St Thomas Aquinas, Summa Theologica: Article 3, Question 2) 아리스토텔레스의 철학에 따라서 토마스 아퀴나스의 다섯 가지 신 존재증명으로 발전되었다. 윌리암 패일리는 자연신학을 사용하여 시계공 유추를 대중화했으며, 유명한 목적론적 논증을 만들었다. 자연종교관한 대화에서 데이비드 흄은 목적론적 논증에 대하여 비판하였다. 칸트는 순수이성비판 6장에서 물리적-신학적 논증의 불가능에 대하여 목적론적 논증은 인간이성에 적절하게 보이지만 거절하였다. 흄에 비판에 동의한 칸트는 우주의 물질의 질서안에서만 지적인 면을 증명하지만 그 존재가 초월적 존재라기 보다는 건축가라고 말한다. 신 존재논증의 이런 사용하는 존재론적 논증의 숨겨진 주장이라고 한다"
볼테르는 목적론적 논증이 힘있는 존재를 알려줄수 있지만, 그러나 필연적으로 전능하고 전지한 지적인 존재를 암시하지는 않는다고 주장하였다. Traité de métaphysique에서 볼테르 지적설계자가 하나님이라고 증명할수 없다고 한다. .
쇠렌 키르케고르 신 존재를 질문하면서 신의 존재를 이성적으로 논증하기를 거부하였다. 이성이란 필연적으로 의심에 의해서 수행되기 때문이었다. 로버트 폴리(Robert Foley)는 목적의 환상을 주장하는데 진화과정에서는 근본적으로 원인적인 방식이 없다고 한다. 선택과 적응의 과정이 생물학 세계의 근원과 설계된 본성을 통하여 목적의 환상을 준다고 했다. 리차드 도킨스 생물학은 어떤 지적설계도 말하지 않는다고 하며 그의 책 눈먼 시계공(The Blind Watchmaker)에서 자연선택이 신적 기원없이 생물학적복잡성을 설명하는데 충분하다고 말한다. 윌리엄 뎀스키는 지적설계 창조주의를 주장한다. ↑ “teleological argument”. Oxford English Dictionary. ↑ Francisco J. Ayala (2006), Review article of "The Blasphemy of Intelligent Design: Creationism's Trojan Horse. The Wedge of Intelligent Design" by Barbara Forrest; Paul R. Gross History and Philosophy of the Life Sciences, Vol. 28, No. 3, pp. 409-421, URL: https://www.jstor.org/stable/23334140 . : "The argument from design to demonstrate God's existence, now called the 'Intelligent Design' argument (ID) is a two-tined argument. The first prong asserts that the universe, humans, as well as all sorts of organisms, in their wholes, in their parts, and in their relations to one another and to their environment, appear to have been designed for serving certain functions and for certain ways of life. 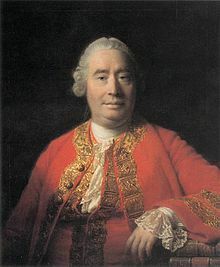 The second prong of the argument is that only an omnipotent Creator could account for the perfection and purposeful design of the universe and everything in it." ↑ “The Argument from Design”. Princeton University. ↑ Ahbel-Rappe, S. and Kamtekar, R., A Companion to Socrates, John Wiley & Sons, 2009, p. 45. 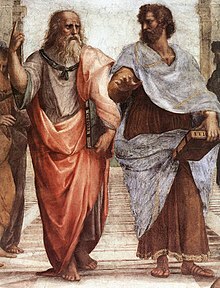 "Xenophon attributes to Socrates what is probably the earliest known natural theology, an argument for the existence of the gods from observations of design in the physical world." ↑ Voltaire (1901) . 〈On the Existence of God〉. 《The Works of Voltaire: The Henriade: Letters and miscellanies》 XXI. trans. William F. Fleming. Werner. 239–240쪽. ↑ Southwell, Gareth (2011년 1월 6일). 《Words Of Wisdom: Philosophy's Most Important Quotations And Their Meanings》. Quercus. ISBN 978-1-78087-092-2. ↑ Dawkins, Richard (1986). 《The Blind Watchmaker: Why the Evidence of Evolution Reveals a Universe without Design》. Norton. 1쪽. ISBN 978-0-393-31570-7. LCCN 96229669.